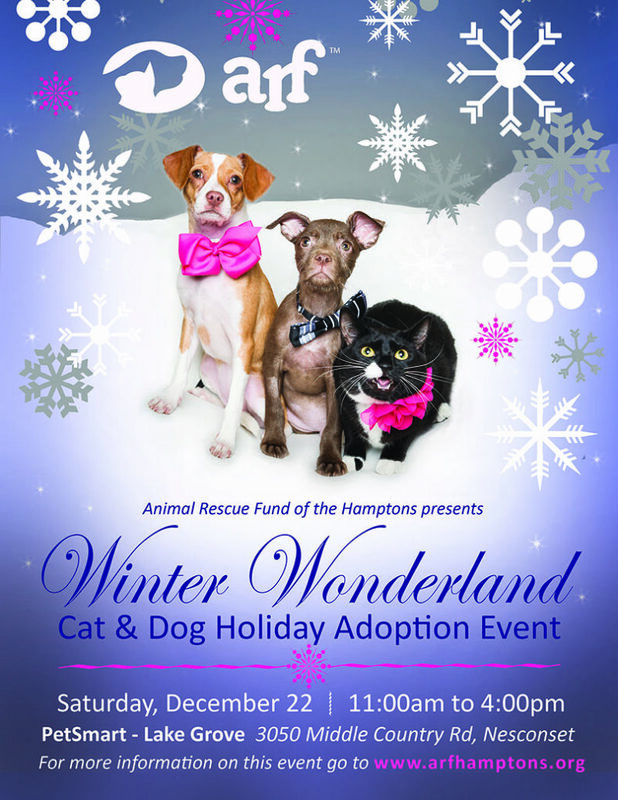 Join the Animal Rescue Fund of the Hamptons for a cat and dog holiday adoption expo at PetSmart at 3050 Middle Country Road, Nesconset from 11 AM – 4 PM. Mutts, purebreds, kittens and puppies will be available for adoption. Celebrate with ARF by giving an adoptable cat or dog a home for the holidays! All animals are neutered, microchipped, and vaccinated. If you already have a dog, please be sure to bring them with you – meet & greets are a must. Free admission, adoption fees apply.